Palanga is a seaside resort town in Lithuania on the shore of the Baltic Sea, with spectacular beaches, sand dunes and coastal pine forests. 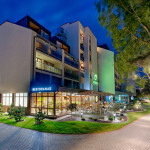 Gradiali complex is located in this beautiful resort and welcomes everybody who seeks a calm and pleasant stay near the Baltic Sea. This year, it is taking a whole new dimension this year. For now, it has 60 rooms of different categories: 4 single rooms, 42 double rooms, 8 mini-suites, 5 luxury suites and 1 family room. In June 2018, it is expanding with the opening of a new building in the complex, which will count 112 brand new rooms! 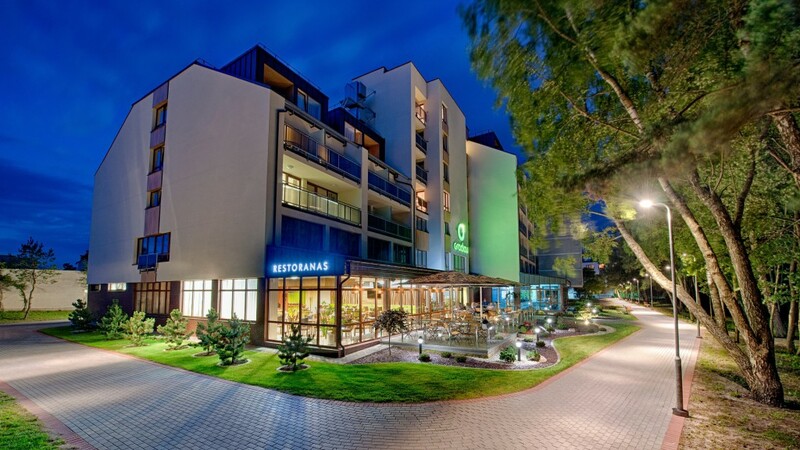 It will become the biggest hotel in Palanga, where you can enjoy unique SPA procedures, a modern pool and sauna area, a fully-equipped gym, a modern restaurant which also offers a summer-terrace where you can enjoy the fresh air. It has also one meeting room with multimedia. It is located about 300m from the beach and 3km from city center and main pedestrian streets, which are easily joinable in a 15 minutes bike drive.